The ProCare Premium Panel Elastic Abdominal Binder is designed with multiple elastic support panels and features flannel lining, which helps prevent rolling. The contact closure allows for easy adjustment, and ensures a proper fit. It's ideal for providing compression and support for post-natal or post-abdominal surgery, abdominal strains and weakness. Made of latex-free elastic, this abdominal binder will provide your mid-section with the support you need. Universal design is intended for both men and women. 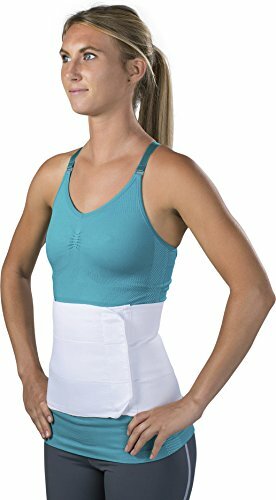 Back Support - X-Large Lumbar Sacro belt 12" back panel with four pre-shaped removable rigid stays. Two 6" elastic straps on one side and velvet loop fabric on the other side forms side panels.